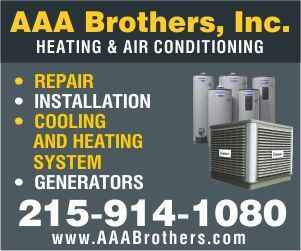 While the hottest of the summer weather may now be over and we are heading rapidly into fall, this does not signal an end to concerns over air pollution in Philadelphia. While the hotter weather brings the increased risk of ground level ozone and the health risks connected with this, heading into cooler weather does not mean that air pollution is not still an issue. According to the American Lung Association’s State of the Air Report 2013, Philadelphia currently ranks 20th in the list of the country’s most ozone-polluted cities, which is an improvement on 2012. However, Philadelphia ranks 11th in the 2013 listing for the cities most polluted by year-round particle pollution. Particle pollution is air pollution caused by the presence of very small liquid and solid particles in the air which we breathe in. These particles range in size from ones so small that you would need an electron microscope to see them, while others may be the size of sand particles. The haze we see in the air is caused by particle pollution affecting the sunlight as it travels through the atmosphere. The size of the particles we breathe in makes a difference to the effect they have on us. The larger particles irritate our airways, making us cough or sneeze them out. The smaller particles are breathed into the lungs, where they become trapped, while the smallest are able to pass through the lungs into the bloodstream alongside the oxygen we need. Breathing in particle pollution can trigger illness, both short and long term, and lead to hospitalization in vulnerable groups and in some cases, premature death. Studies have concluded that about 34,000 premature deaths a year could be prevented by a reduction in particle pollution. Research led by Ohio University has found that inhalation of polluted air appears to activate a protein which triggers the release of white blood cells, paving the way to chronic inflammation. This discovery has been an important step forward in understanding how prolonged exposure to particle pollution can increase the risk both for cardiovascular and other diseases, and has lead to new disciplines in the research of pathology in order to source some of the impacts of living in a modern world. The studies of mice suggest that chronic exposure to very fine particulate matter acts as a trigger to allow white blood cells to exit bone marrow and find their way into the bloodstream, where their presence in blood vessels alters the integrity of their walls. The white blood cells have also been observed to collect fatty tissue, where they release inflammation-causing chemicals. The activity seems to parallel an out of control immune system response which leads to an increased risk for cardiovascular disease, obesity and diabetes, as well as other diseases. 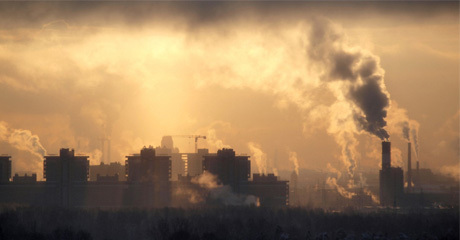 Generally, short term increases in levels of particle pollution have been linked to: death from respiratory and cardiovascular failure; increased mortality rates in infants and young children; an increase in the incidence of heart attacks; inflammation of the lungs, and increases in hospitalizations for cardiovascular disease (including congestive heart failure and stroke). Long term, year round exposure to particle pollution can shorten life by up to 3 years. It has been linked to: reduced lung function in children and teenagers; damage to the airways of the lungs; and increased risk of death from lung cancer and cardiovascular disease. According to USA dot com, recent statistics show that a number of airborne pollutants in Philadelphia are in excess of the national average. The average lead particle content of the air in 2009 was 0.04 micrograms per cubic meter, while the national average was significantly lower at 0.0158 micrograms/cubic meter. Lead affects almost all the body systems. At high concentrations, it can cause convulsions, coma or death; while at lower levels, it can affect the health of the central nervous system, kidneys and blood cells. Even quite low lead levels in the bloodstream can have a significant effect on mental and physical development, while the effects of lead exposure on both fetuses and young children can severely impact on IQ levels, attention span, and behavior. This demographic is particularly vulnerable as the tissues of young children are more sensitive to the damaging effects of lead and it is absorbed more easily into growing bodies. Keeping areas children are in as clean and dust-free as possible reduces the risk of exposure to lead, because soil and dust outside the home, especially close to highways, can harbor lead. Wiping our feet well before entering the house helps to reduce the amount of lead that enters our home environment. Making sure that our children have a healthy diet, which includes plenty of iron and calcium, will mean that they absorb less lead from the environment, reducing the risk of lead-related health disorders. Exposure to either nitrogen dioxide or sulfur dioxide has an adverse effect on the respiratory system including constriction of the airways and an increase in asthma symptoms. This is particularly noticeable for asthmatics when engaging in increased activity. These pollutants can combine with other pollutants, forming small particles capable of penetrating deep into the lungs where they can cause or exacerbate respiratory diseases such as asthma, emphysema and bronchitis, as well as aggravating pre-existing heart conditions. Reduction of these pollutants in the environment through emissions control assists in minimizing health risks, as well as reducing the formation of ozone and fine particles, which are themselves significant public health risks. The City of Philadelphia advises that we can all take steps to help reduce air pollution and protect the environment and our health. There are many activities which contribute towards air pollution, but there are ways we can help to reduce our impact on our city. Planning journeys to avoid unnecessary travel reduces fuel consumption, while keeping our car tuned will mean the engine runs better and emits less pollution. We can use our car less by using car pools, cycling and walking where possible. When driving, staying within the speed limit means less emissions and parking in a central spot and walking to the places we need to visit means less driving. Julie is a freelance writer and full-time mom. After graduating college, she put a lot of effort into her career in finance but when motherhood came along, she decided it was time to pull back and take up her other passion, writing. Now she writes about a whole host of articles and finds her work-life balance far more enjoyable. When not working and caring for her children, she likes to go for long walks with her dogs, though she is considering using Rollerblades so they can pull her.